Why Broadband is advertised as "upto XMbps"
Broadband speeds are probably the first thing you think about when considering changing your service or moving to a new one. But you should know what broadband speeds actually mean when it says “upto XMbps”and how can you make sure you’re getting value for money. 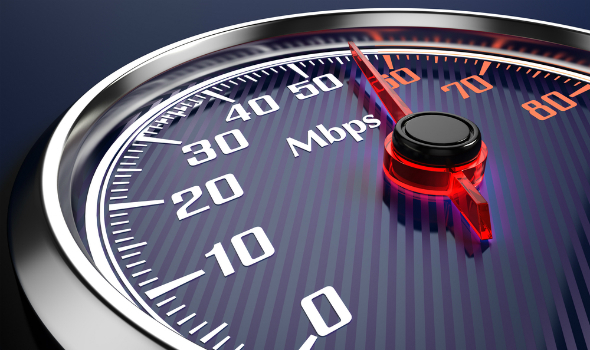 Broadband speed is usually measured in Megabits per second (Mbps). Basically, these measure the number of bits (the smallest unit of information) that you can transfer per second. The higher the number of Mbps, the faster the connection and the more data you can transfer. Server traffic & network congestion. The time of the day. At peak times, when there are a lot of users sharing the same connection, it can slow right down. The quality of your connection. Storms and heavy rain can seriously affect your broadband speed as well. How far you are from the main node of your ISP. Broadband networks are ‘contended’ networks a bit like the road network—this means that there isn’t enough capacity for every user to use the service at full capacity, at the same time. This contention helps to ensure prices remain low as generally speaking demand varies. However at peak times, you may find your broadband slows down. Remember that ‘peak’ in broadband terms can be in the evening, although this may vary. The ISPs does intelligent traffic shaping or traffic management to deliver the best of service and speed to make sure, a connection dont die during those peak hours or congestion time. The main reason being, “keeping costs low”, broadband is not treated as dedicated pipeline. Dedicated connection which is called “Internet Leased Line” are basically for offices or corporates, who needs completely dedicated internet, which doesnt depend on factors like network congestion or peak times or server traffic and it costs a bomb!